So Excited to Introduce my latest obsession! It had to have everything I needed in a marker! This brand c Rotring Tikky Graphic 0.1 was the first technical pen that I ever used! I have been searching for years to be able to offer one-and this is it!!!!!! 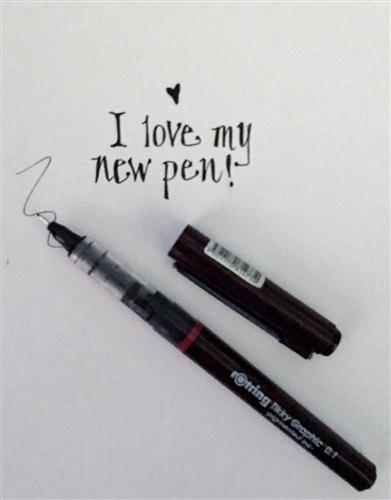 I am so pleased to be able to offer you a fine point India ink, DISPOSABLE marker that feels and works like a super expensive pen. There is a window that shows you how much ink you have-when its empty, you throw it away.